Samuel Butler’s words can’t be more true of a fall getaway in Cedarburg, WI. 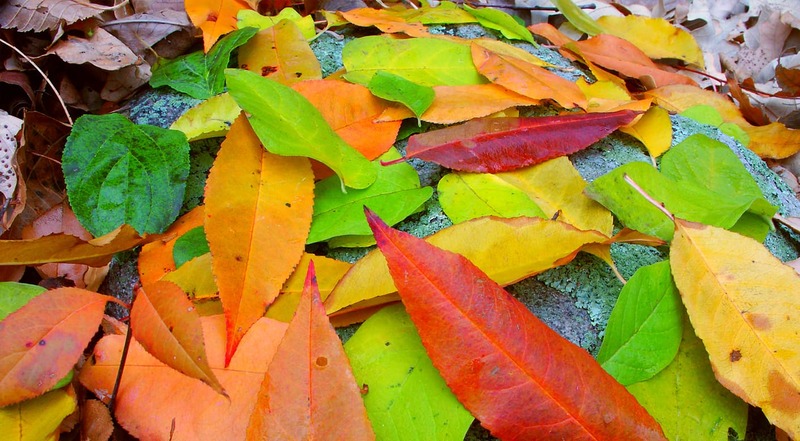 The colors of the flowers are fading but are being replaced with even more brilliant hues of red and yellow. The crowds are gone for a more relaxed small town experience, and the area is filled with a bevy of fun festivals and activities that you can’t miss. This is the perfect season to capture those memories and images that will make all of your Facebook and Instagram followers envious. Maybe you’ll even capture the winning image for our Share Cedarburg Photo Contest. We have one of the most beautiful towns, and we want everyone else to know it too! If you don’t believe us, then maybe you’ll trust Architectural Digest, which just awarded Cedarburg as one of the Top 30 Most Beautiful Main Streets in the United States. Keep scrolling to see our five favorite activities this fall to get the most out of this gorgeous season. Get ready for the ultimate fall festival when downtown Cedarburg transforms into a veritable wonderland of seasonal fun. Even though our Inn is just steps from all of the action, you’ll want to catch the free hay-ride to bring you to the further points of interest, like the Quilt Museum. All of your quintessential festival musings will be there, like fun live music, amazing art, yummy and unique food, a farmer’s market, a kid’s zone, and local vendor booths. 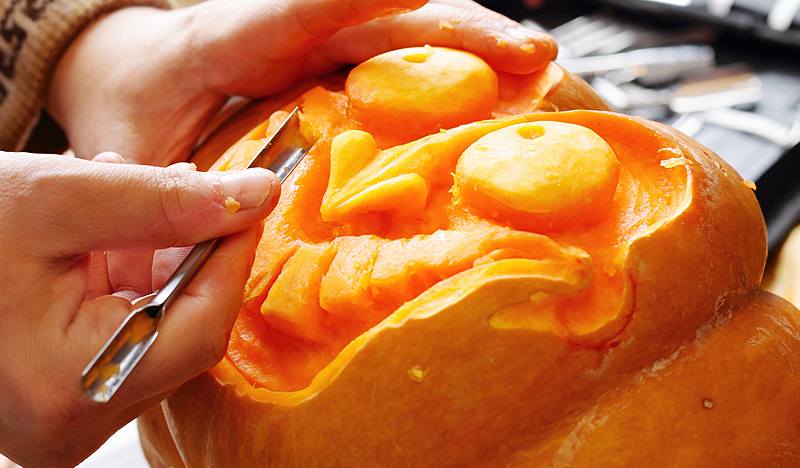 The harvest theme can be witnessed in the pumpkin carving demonstration, floating giant pumpkin regatta, grape stomp, and the popular giant pumpkin weigh-in! If you’re up for a bit of activity, you can sign up for the 5K Fun Run or Tour de Belle Vin (aka Bike Tour and Wine Tasting). You’ll also have a chance to take part in some of the best stuff to come out of Cerdarburg – our beer and wine. Stop by the Fermentorium Tap Tent or Cedar Creek Winery to try them for yourself. If you want to see the fall colors in Wisconsin, then there isn’t a better way to do it than during the Covered Bridge Art Studio Tour. As you drive through the beautiful countryside, you’ll be able to stop into the studios of 45 artists throughout Ozaukee and Washington Counties. It’s a fantastic way to get a peek inside the private working spaces of these talented artisans, talk with them, or even buy a masterpiece to take home with you. 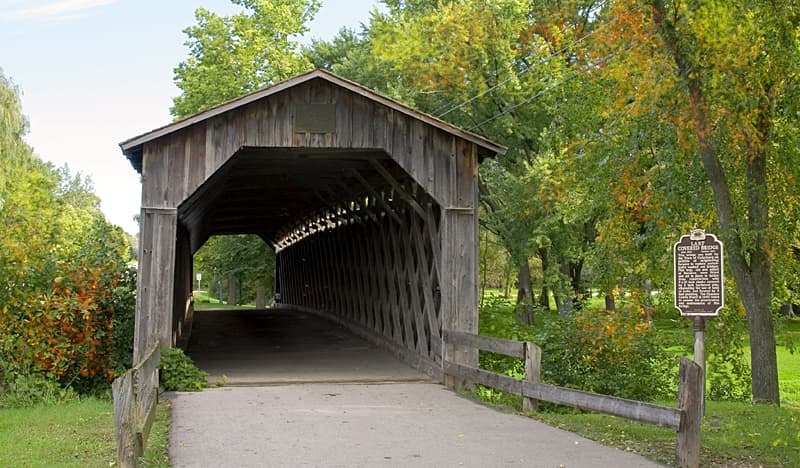 Along your drive, you’ll see local farms, pumpkin patches, the shore of Lake Michigan, small towns that it seems time forgot, and even a Covered Bridge built in 1876, one of the few remaining in Wisconsin. This event has been going on for 36 years, and gets more popular every year. If you’re an art lover or just looking for a magical drive to see the fall colors, then you can’t miss this wonderful event. Can’t you just hear the Polka music playing already? 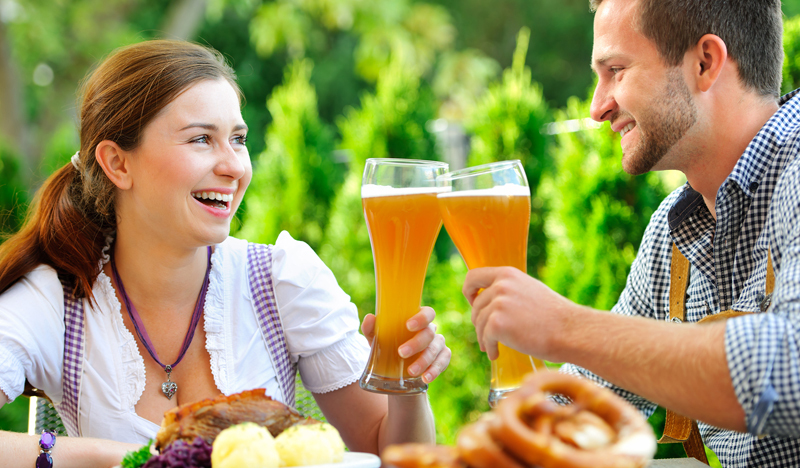 Get your Lederhosen out and be ready to do the Slap Dance during this fun German festival. Get out on the wooden dance floor while you enjoy the traditional music from several bands. Grab a seat under the giant tent while you sample specialty beers, wine and a variety of authentic German foods like Bratwurst, Sauerbraten, Schnitzel, and more. If the Glockenspiel Show (Cuckoo Clock) isn’t entertaining enough for you, then take part in the silly contests planned, including; Best Lederhosen/Dirndl Attire, Sauerkraut Eating Contest and a German Spelling Bee. During your stroll around our historic town, you’ll be able to see the Volkswagen and Porsche Clubs display their feats of German engineering. Wives, feel free to park your husbands here while you take part in the local art events during this same weekend. Would you like the best bird’s eye view of the surrounding area? 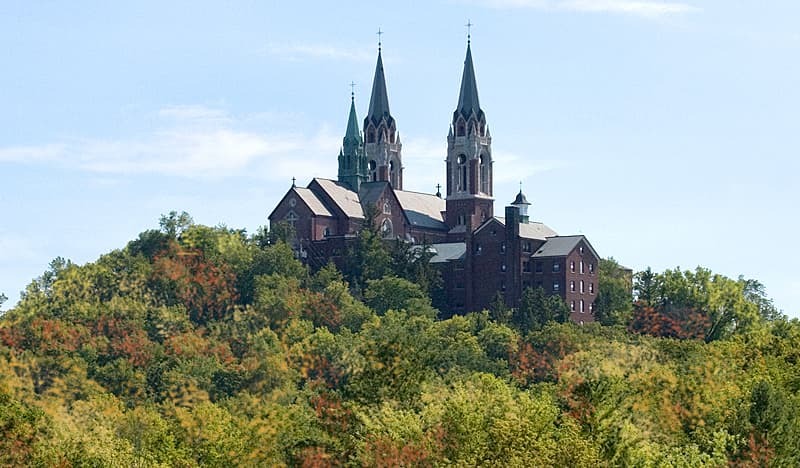 Then put the Basilica at Holy Hill on your to-do list. After a scenic drive through the Wisconsin countryside, you’ll arrive at this grand church, poised on the highest point in southeast Wisconsin. Climb the 178 steps to the top of the Scenic Tower to take in breathtaking panoramic views. Stroll around the 435 acres to experience the true beauty and peacefulness this place offers. Stop into the gift shop or café before heading back to your comfortable room at our romantic inn. Get outdoors to surround yourself with nature at this amazing preserve in southeast Wisconsin. Six miles of trails take you through a variety of habitats within their 444 acres. 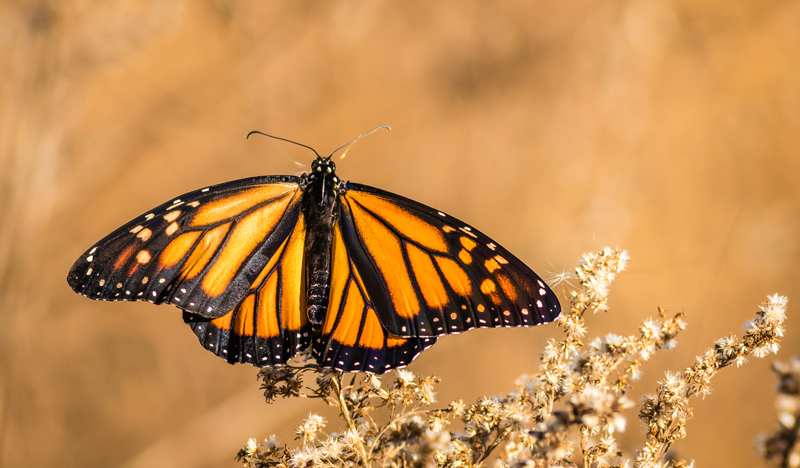 You’ll see forests, wetlands, prairies and agricultural fields that are home to a wide variety of native plants and animals. If you are looking to host a corporate event, and your group is too large for our Cedarburg, WI business center, then this is a spectacular option and just a short drive from the Inn. With so much to do this fall in Cedarburg, WI you’ll want to book your room soon so you don’t miss out! 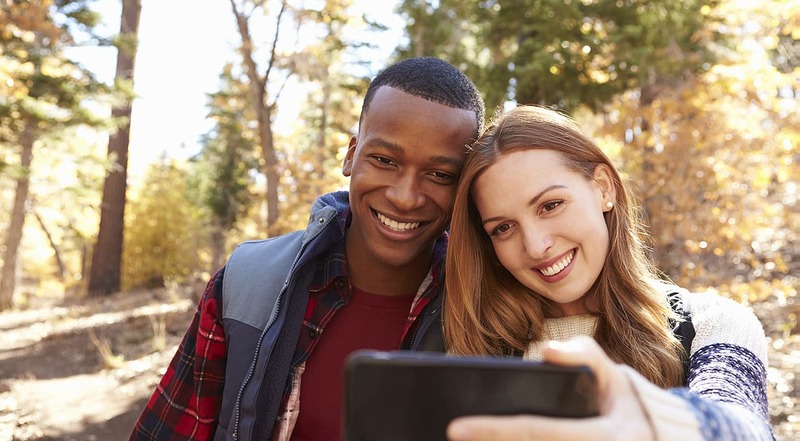 Get out of the city to experience some small town charm, have some classic fall fun, and make memories that will last a lifetime with #nofilter.